The U.S. Court of Appeals for the Fifth Circuit upheld a $14 million award to John Thompson, a former death row inmate in Louisiana who was exonerated after withheld evidence was revealed. Thompson spent 18 years in prison, including 14 years in the solitary confinement of death row in Angola Prison. He came within one month of being executed in 1999 when his attorneys discovered blood evidence that should have been turned over to the defense years ago. The new evidence cleared Thompson of an armed robbery conviction, which in turn had influenced his trial for an unrelated murder. At his re-trial on the capital murder charge, Thompson was acquitted in thirty-five minutes by a jury in 2003. Thompson sued the District Attorney's Office of Orleans Parish in 2003 and won a jury verdict in 2007. The jury also awarded $1 million for attorneys' fees. [A]ll that remains to justify our system of capital punishment is the quest for revenge, and I cannot find, as a matter of law, that the thirst for vengeance is a legitimate state interest. Even if it is, capital punishment’s benefit over life imprisonment in society’s quest for revenge is so minimal that it cannot possibly justify the burden that it imposes in outright heinousness. The death penalty is, therefore, reduced to “the pointless and needless extinction of life with only marginal contributions to any discernible social or public purposes. A penalty with such negligible returns to the State [is] patently excessive and cruel and unusual punishment violative of the Eighth Amendment.” (quoting Justice White in Furman v. Georgia). Brian Nichols was sentenced to life in prison without parole in Georgia on December 13 after the jury could not reach a unanimous verdict of death. Nichols had been found guilty of killing a judge, a court reporter, a police deputy, and a U.S. Customs agent during his escape from a courthouse hearing on other charges. The jury remained deadlocked in a 9-3 vote after four days of deliberations. A unanimous vote is required for a death sentence, just as it is for a guilty verdict. The jury did find the existence of 11 aggravating factors against Nichols. A three-judge panel of the US Court of Appeals for the 11th Circuit in Atlanta heard arguments in the Troy Davis case on December 9. The judges weighed whether Davis' new evidence was sufficient to merit a more extensive hearing and perhaps a new trial. One of the judges, Rosemary Barkett, said she would like to see the innocence claims fleshed out in a further hearing. The Court did not indicate when it would issue a ruling and at the close of the hearing, Judge Dubina called the appeal a “very difficult case.” Judge Marcus called the case “murky,” without the availability of DNA evidence that could categorically clear Davis. The high profile case has garnered attention as seven of the nine eyewitnesses in the case have recanted their original testimony. Hauge pursued the death penalty only once and the jury returned a split verdict resulting in a sentence of life in prison. Because Washington death penalty cases take so long, Hauge said, “You’re not going to see any expansion of [the death penalty].” In regard to the appeals process, he said, “I think we’re going to continue to live like this,” as the courts try to ensure they do not make a deadly mistake. A Florida inmate faces execution despite new revelations that the state prompted a trial witness to lie. 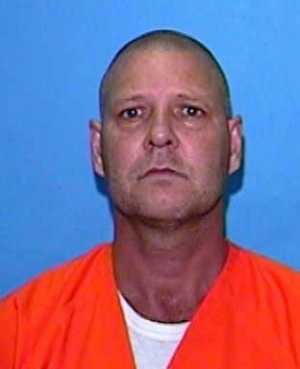 Inmate Wayne Tompkins was to be executed in Florida on October 28, 2008, but was granted a stay of execution to allow time for the state Supreme Court to review his case. On November 7, the court denied Tompkins' appeal, even though the court acknowledged that a state witness, a jailhouse informant, admitted to providing false testimony at Tompkins' original trial in 1985. Justice Harry Anstead dissented from the court's ruling, noting that jailhouse informants are often unreliable, and in this case the informant was apparently prompted to lie. He wrote, "Indeed, if the claim is true, we have a state prosecutor who committed a criminal act in tampering with a witness. Surely, common sense would tell us this is the kind of 'bombshell' disclosure that could change the jury's entire evaluation of the case." Tompkins' attorney Martin McClain cited numerous concerns about the state's case. "This is one of the most troubling cases that I have," he said. "The evidence against Mr. Tompkins is just absurd." Tompkins' stay of execution expires on Nov. 18. In place of an arbitrarily applied death penalty, the editorial concludes that life in prison without parole is a satisfactory alternative, and should be the choice Virginia makes. The legal decision facing Harvey Bryant - and every other chief prosecutor weighing whether to pursue the death penalty in a murder case - cannot be made in a vacuum when the choice is fraught with moral, political and practical ramifications. In the 2006 murder at Hilltop Shopping Center, for example, Bryant, Virginia Beach's commonwealth's attorney, had to consider not just whether the crime met the 15 legal criteria for a death case. He also looked at the strength of the case (no eyewitness, but strong circumstantial evidence). He considered the heinousness (the killer had shot his victim in the back as she tried to escape) and the number of victims (one). He listened to the wishes of the victim's family (one wanted death). Bryant's decision to forgo the death penalty against Christopher Hagans - guaranteeing with Hagans' guilty plea that he spends the rest of his life in prison without possibility of parole - was the right call. He told The Pilot's Duane Bourne that last month's plea agreement brought some finality to Elisabeth Kelly Reilly's family. And it greatly lessens the chance of extensive, costly, time-consuming appeals. These are gut-wrenching decisions. Bryant acknowledges that. But they're also arbitrary. In another case recently in court - Marcus Garrett, convicted of killing three people at an Oceanfront condominium in 2005 - Bryant sought the death penalty. Is it fair to weigh how many people died? Is it right to look at who the victims were? Is it fair to consider the strength of the evidence and the time and resources required to pursue the death penalty, a costly process? Does it make a crime less important, a victim's life less memorable, if prosecutors decide that life in a tiny prison cell is punishment enough for the killer? The shortcomings of this justice system are numerous and obvious. Even if we assumed that all those convicted are guilty - and in many states, including Virginia, that hasn't been the case - deciding whether to pursue an execution is a judgment call. Sometimes, whether a defendant is sentenced to die depends on how well his attorney represented him. Sometimes, it depends on how much publicity the crime received. Sometimes, it depends on race. As Elisabeth Reilly's mother wisely pointed out, killing Hagans can't change what happened, and it wouldn't make it right. Only two things might have helped her feel better: erasing her daughter's agony and that of her family - which no punishment can do - and knowing the state would never give the man a chance to hurt anyone again. Virginia has that option. Bryant exercised it in accepting Hagans' guilty plea. He's going to prison for the rest of his life. That's enough for Reilly's mother. It should be enough for the rest of us, too. ("Imperfections Abound with the Death Penalty," The Virginian-Pilot, November 7, 2008). See Arbritrariness, Victims, and Editorials. A North Carolina prosecutor has announced he will seek the death penalty in a case where the victim spoke out against capital punishment and her family opposes it. Before her death, college student and University of North Carolina student body president Eve Carson told fellow students gathered for a death penalty discussion that she did not agree with the death penalty due to the flaws in its application. She noted, “It doesn’t work, in my opinion.” After Carson’s murder, her family told Orange County District Attorney Jim Woodall that they oppose capital punishment and believe their daughter did too. Carson was speaking to 20 first-year students gathered in 2007 to discuss Sister Helen Prejean’s book, “The Death of Innocents: An Eyewitness Account of Wrongful Executions.” Fellow student Katie Sue Zellner said she believes Carson’s zest for life would have dissuaded her from approval of executions. The prosecutor has said that he is aware of the family's wishes, but he did not share what other factors influenced his decision. Federal charges that could carry a death sentence are also being pursued against Demario Atwater, one of the two defendants in the murder. It has been almost 70 years since Orange County has issued a death sentence. (E. Stephenson, "Parents told DA they’re anti-death penalty," Daily Tar Heel, October 29, 2008; M. Baker, Associated Press, "Federal grand jury indicts 1 of 2 suspects in slaying of UNC student body president", October 27, 2008). See Victims and Arbitrariness. Leading attorney, law professor, and advocate Anthony Amsterdam was honored by the Southern Center for Human Rights with the Frederick Douglass Human Rights Award in Washington, DC on October 2. Professor Amsterdam conducts the Capital Defender Clinic at New York University Law School and is recognized for his four decades of prominent work in cases ranging from death penalty defense to claims of free speech and the press, privacy, and equality of opportunity for racial minorities and the poor. He continued, “Why, you may ask, are we even debating whether an execution should be delayed for a few weeks or months until significant questions can be resolved that may prove the death judgment to be factually or legally erroneous? How can lawyers for any American government that has a Due Process clause in its constitution contest a stay in such a case?” He utilized his expertise and knowledge to answer those questions and more while addressing capital punishment. The complete text of the speech may be found here. There have been 24 executions so far in 2008. Executions resumed on May 5 after the U.S. Supreme Court approved Kentucky's lethal injection process in Baze v. Rees. One hundred percent of the executions have been in the South, including 9 in Texas, 4 in Virginia, and 3 in Georgia. At least 12 cases have been granted stays of executions in the past two months, including Troy Davis, whose execution in Georgia was halted by the U.S. Supreme Court. As of orders issued on October 6, 2008, the Court has taken no further action in the Davis case. No white defendant has been executed in 2008 for the murder of only a black victim (one defendant was executed for the murder of 2 white victims and 1 black victim). Since the death penalty was reinstated in 1976, only about 15 white defendants have been executed for the murder of solely black victims. About 228 black defendants have been executed for the murder of white victims. In 2007, there were 42 executions, including 86% in the South (26 in Texas). See Executions, Race, and Arbitrariness.